Ray and I have taught our kiddos important money lessons ever since they were old enough to understand the concept of smart spending and saving. With the help of Nextag I decided to take advantage of the holiday shopping season to reinforce these financial lessons and make them more memorable by reminding our kids about the value of shopping smart. 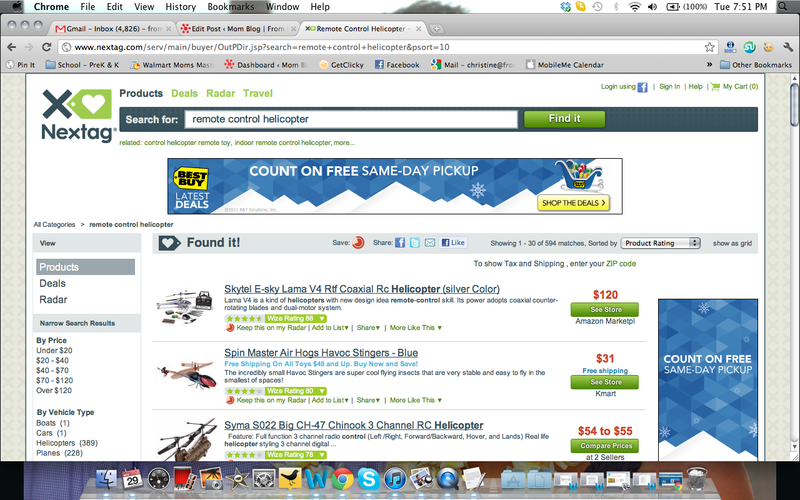 My twins have been asking for a remote controlled helicopter, so we explored Nextag and did some comparison shopping. We were able to see the different models available at a wide variety of online stores. We even set up an alert, so we would be notified by email of upcoming deals. Whether you’re shopping for electronics, clothing and accessories, home furnishings or health and beauty essentials, Nextag should be your first stop for shopping online. 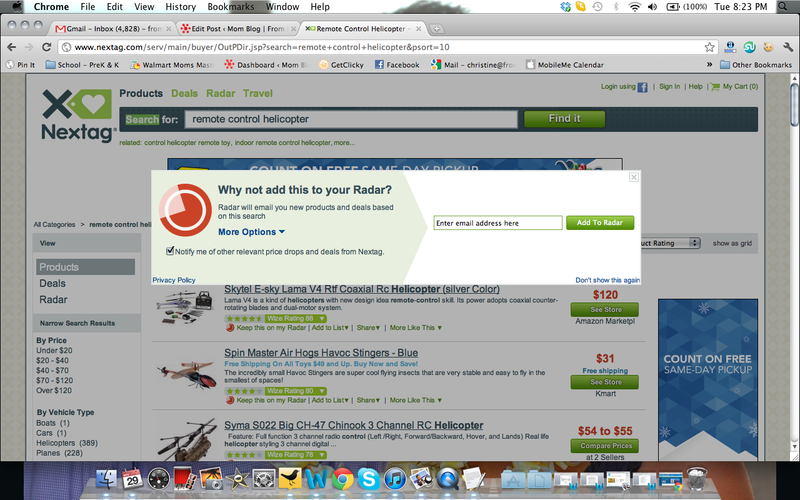 We were able to use the comparison shopping tools available on Nextag to find several items on our holiday gift lists! Tip #1: Make a budget. Already have a holiday shopping list? Next step is to make a budget and make it a positive experience. By knowing how much money is available to spend, kids can help make decisions on the best thing to buy. Tip #2: Make a list, check it twice, and then tell your child to do something nice — and find the best price. Let them research compare prices and gifts through online comparison shopping to understand how they can save money on an item or two and then use that saved money to spend on another item. Tip #3: If you prefer to shop in person, consider an app for your or your child’s phone that can help you shop right. For instance, Nextag Mobile is a free shopping app for the iPhone and Android that offers consumers product pricecomparison, research and shopping toolswith barcode scanning and image recognition technology. Nextag Radar is now available as a free iPhone app that lets shoppers search and compare products, organize their searches, and set shopping alerts to receive notifications when prices drop or new products become available. Nextag Dealforce is a free, social shopping app for the iPhone that provides up-to-the-minute deals posted by local shoppers. Both apps are available through the iTunes store and Android Market. Tip #4: Make money conversations fun – which will better engage your kids and avoid the eye rolls that tend to accompany these types of discussions. I was compensated by Nextag to share these tips and my thoughts about their comparison shopping site. All opisnions and thoughts expressed are my own, as always.